For years I’ve posted pictures to people’s Facebook pages for their birthdays. Sometimes I just google their name and find a picture, or sometimes I make my own. This is the weirdest I ever made. Please, please, please share this with all of the Peters in your life. P.S. The Dink is no stranger to the steesh! 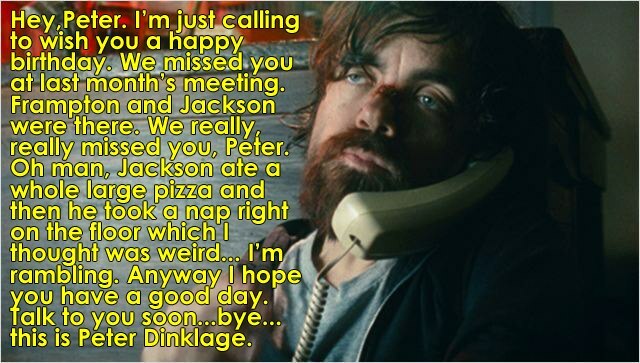 This entry was posted in Actor Mustache, PhotoShop and tagged Birthday, entertainment, facebook, friends, fun, happy birthday, Humor, peter, peter dinklage, photoshop on February 19, 2014 by Los Bulls. This inside joke is either too inside, or perhaps never made any sense, but I once spent about 3 hours making this fake magazine cover. I hope it brings you half the joy it brought me. This entry was posted in PhotoShop and tagged Devon Sawa, entertainment, Humor, little giant, magazine, Movies, nonsense, Sawa on February 19, 2014 by Los Bulls.